We always knew the game changing S 1000 RR power plant would find it’s way in to other models, it’s just surprising that it took this long, but now the first of new models to utilise this ripping four-cylinder power plant has hit the streets in the shape of the naked S 1000 R.
The amount of anger resonating from the bowels of the short-stroke donk at start-up took me by surprise. Not quite the visceral hatred of an RSV4 Aprilia, or the demonic madness of a Desmosedici, but enough attitude to let you know that there is some serious animal lurking inside those chiselled and seriously forward-slanted crankcases. In S 1000 R guise the engine is even more of a masterpiece than the engine it is derived from, especially when the majority of your riding is not cutting laps around the 4.4km ribbon of tarmac that is Phillip Island. BMW have, of course, modified the engine in favour of a stronger low and mid-range power delivery, which does knock the outright top end acceleration out of the motorcycle a little, but this is only really noticeable over 200km/h. For a bike used predominantly for the street, even crazy go-to-jail type antics on the street, I would take the revised donk every day of the week, without question. 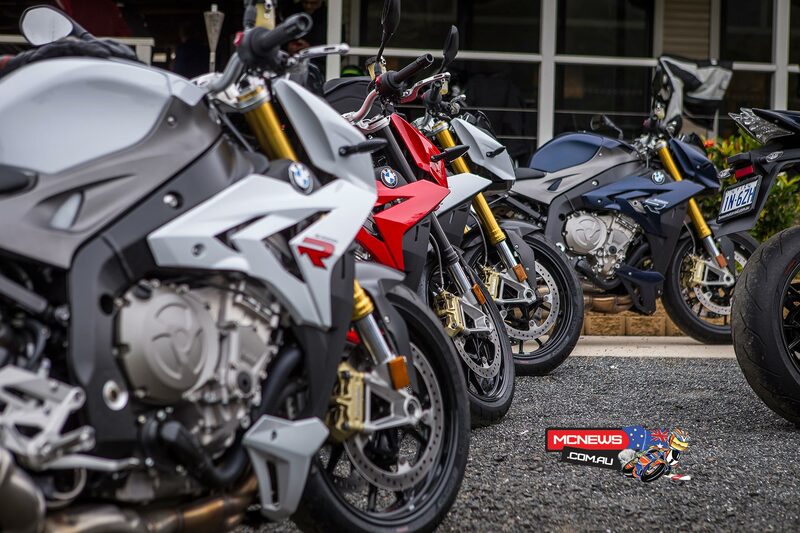 Changes to the ports, cams, and the debut of BMW’s new BMS-X engine management system, sees the S 1000 R enjoy a significant torque advantage over its pure sports bike brethren all the way to 9500rpm. Power is also marginally better up to that same 9500rpm marker but it is the torque improvements, particularly at low rpm that really make the S 1000 R shine. 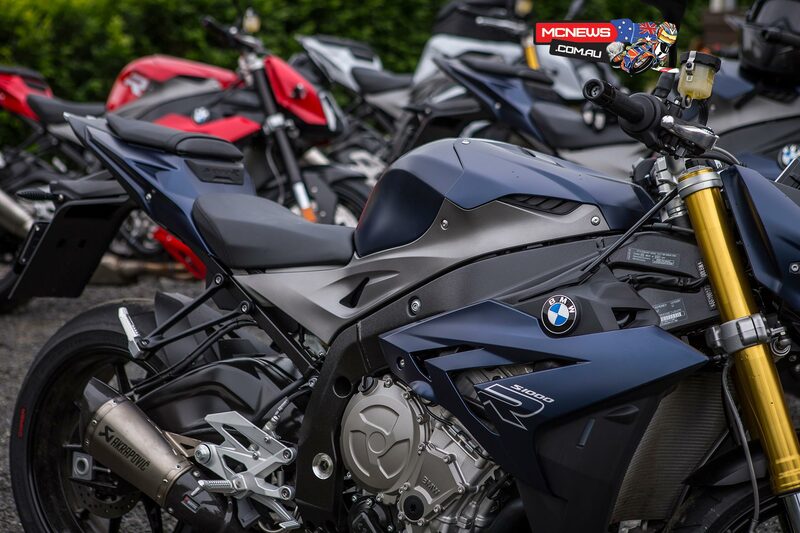 There is a significant 24kW (32hp) difference between the two engines peak power, with the S 1000 R’s 118kW (158hp) 11,000rpm peak no match for the S 1000 RR’s 142kW (190hp) screaming 13,000rpm wail, but up to 9500rpm the S 1000 R feels significantly stronger. Again, the peak power difference is only felt at very high speed where the S 1000 RR is using all that top end power, and better aerodynamics, to push through the air better. For predominantly street work I would take the S 1000 R iteration every time. 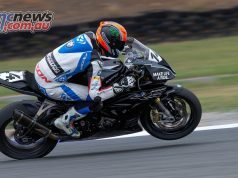 German magazine Motorrad recently put the S 1000 R on the dyno where it produced 166hp, which is actually 8 more ponies than BMW claim for the S 1000 R. This, incidentally, comprehensively bested other bikes also tested on the same day, including Aprilia’s Tuono V4R, Kawasaki’s larger 1046cc Z1000, Triumph’s 1050cc Speed Triple, MV’s 1090cc Brutale and Triumph’s Speed Triple for both outright power and torque. Ducati’s Monster 1200 S had only a 7Nm advantage in torque but showed a 30hp deficit in power. Only KTM’s 1290 Superduke R bested the BMW across both measurements, showing only four more horsepower but a significant 25Nm advantage in torque, as you would expect from an engine 300cc bigger. Actually, you might expect even more of an advantage in the KTM’s favour given the capacity difference. 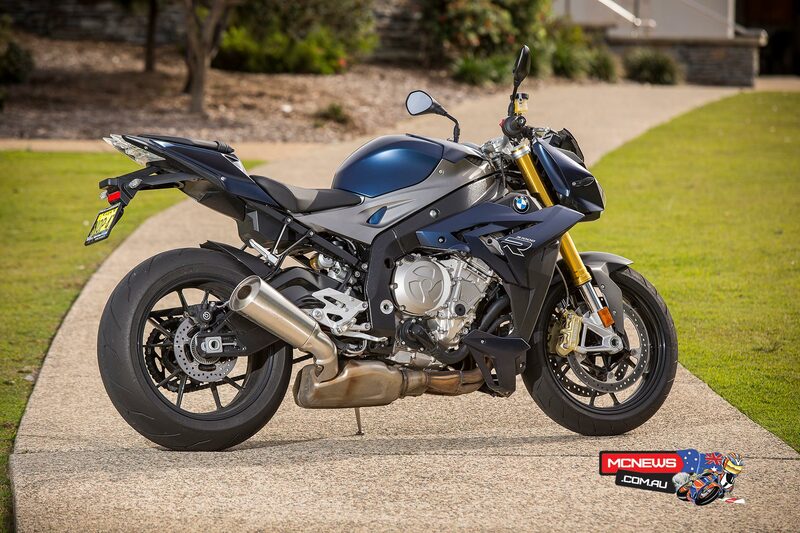 However, the S 1000 R does not ‘grunt’ out of the basement like a V-Twin, or shake you in your spirit off the bottom when it comes to ‘feel’, but it does make significant enough thrust to make the bottom end power delivery forceful enough to use with pleasure while short-shifting through the six-speed gearbox. 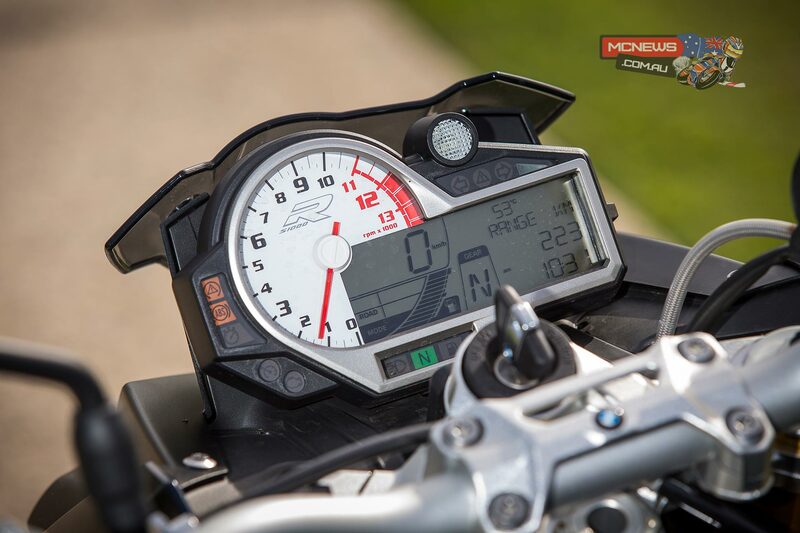 In fact, by 3000rpm the S 1000 R is making almost 75 per cent of its 112nm peak twist. An incredible feat of engineering from such a short-stroke engine with mammoth 48mm throttle bodies. This thing has major torque combined with the kind of stupendous top end power that was unheard of from any road going motorcycle six years ago, even from the highest echelon of the sportsbike spectrum. Of course the reason we can now enjoy such perfect manners and get huge performance from this wonderful engine is due to advances in technology. With ‘Rain’, ‘Road’, ‘Dynamic’ and ‘Dynamic Pro’ modes, switchable on the fly, throttle response can be tailored to both the conditions and your mood. ‘Rain’ mode knocks the 7000rpm and up top end surge on the head a little, but all other modes offer full power and torque across the rev range, just that the rate of opening across the four electronically controlled throttle butterflies is slowed to smoothen response. Rain mode is not drastically soft in any way as I could still pull wheelies all over the place even with the bike in this softest mode, in fact, in some ways it was even easier to wheelie as the throttle response was so smooth. Traction control also adjusts itself to correspond with the mode selected. Very little slip is permitted with quick and quite stark intervention while in ‘Rain’ mode, the system then becomes more and more liberal with a little slip and slide permitted as you progress through the modes. The system needs to be in Dynamic Pro or turned off for monos to be allowed. Likewise, under brakes, the rear wheel will only be allowed to lift in Dynamic Pro or with ABS turned off. If using the rear brake lever in Dynamic Pro it de-links the rear from the ABS system allowing for rear brake slides into a turn. I like the way all the systems are linked to the respective riding modes and the way BMW, unlike the Japanese manufacturers, give us the freedom to decide exactly what we want, when we want it, and allow everything to be switched through from the bars, while on the fly. 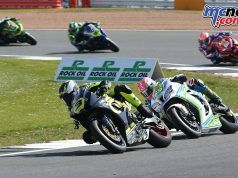 It should be noted that the traction control and ABS systems are of a race specification, and as such when the systems do intervene you don’t have to wait what can seem like endless seconds on some bikes before full power is restored. As to outright braking power, again, the S 1000 R offers braking abilities that are as good as the best of the best sportsbikes I have ever ridden. Outstanding power combined with accurate control at the levers makes for a sublime combination. The initial bite can seem a little savage at first but it doesn’t take long to adapt the correct amount of tactility in to your fingers. Another wonder of modern technology is DDC, ‘Dynamic Damping Control’. First introduced on the top of the wozza HP4 version of the S 1000 RR in 2012, this also configures suspension damping response in conjunction with the selected riding mode. Thus dial in ‘Rain’ or ‘Road’ mode and you have an easy riding machine for pockmarked backroads, up the game level to ‘Dynamic’ and the S 1000 R starts to feel like a sportsbike, select ‘Dynamic Pro’ and the S 1000 R is every ounce a sportsbike in the suspension department with great feedback, control and an amazing level of stability thanks to all those electronic systems working in unison and aiding each other to keep the bike as composed as possible. A steering damper is fitted standard, as back-up. Due to the dynamic nature of the system, the 46mm forks and rear shock respond to road irregularities and rider inputs on the fly in milliseconds, giving you the best of not just both worlds, but all worlds, all the time. It is this type of awesome technology so smartly implemented that makes the S 1000 R so incredibly versatile. You have a relatively comfy, stable backroads tourer and a racetrack scalpel all in the one bike, Jekyll and Hyde, on hallucinogens… Again, incredible technology, smartly implemented. The Dynamic Damping Control is part of an optional ‘Dynamic Package’ that also includes Heated Grips, White LED Indicators and Engine Spoiler as an $1150 package option. The standard forks are rebound and compression damping adjustable and can be identified from a afar by their black colouring instead of the gold coloured stanchions featured on the DDC equipped bikes. The standard rear shock is adjustable for preload and compression damping. Shifting cogs is a fuss free affair aided by a standard quick-shifter whose ignition cut seems a lot quicker than on previous BMW machines. Its predecessors had a pleasing pop-fart from the pipe when short-shifting on power, this acoustic anomaly was absent from the S 1000 R. I missed that, although no doubt this latest set-up is technically superior. A slipper clutch is also standard fitment. I must admit I had my reservations about the comfort of the seemingly hard-core S 1000 R when faced with the notoriously bumpy Lions Road while nursing a bit of a hangover. But dialling in the softer suspension settings, until the adrenalin burned off the vapours of the hangover, rewarded me with a compliant ride. It’s a nakedbike, so there is not a huge amount of protection from the elements but the small lip above the smart instrumentation does seem well designed enough for buffeting not to be a problem, for my 178cm frame anyway. The well padded seat and friendly ergonomics strike a good balance between sporting and comfort. There is an optional ($463) comfort seat or ($341) pillion comfort seat, a tinted sports windscreen is also available ($355). Cruise control is provided as standard to make highway hauling more licence friendly, on such sojourns a range of 300km should be easily managed from the 17.5 litre fuel tank. As yet, BMW do no offer any of the convenient small hard panniers available on the K series bikes, but do offer a useful ($475) tankbag and rear soft bag ($522). What don’t I like? Well the catalytic convertor looks a bit naff and exposed, but overall, the machine is a much better looker in the flesh than in photographs. There could be a little more leg room for taller folk but other than that there is not much not to like. My previous favourite nakedbike was BMW’s own K 1300 R and I still love the attitude and grunty engine of that long running model, but it would be hard to go past the modern advances that the S 1000 R brings to the table at a more modest price. In summary the technology and performance that the S 1000 R brings to the road at $18,990 (with ASC/ABS/Cruise + on roads), or $20,140 with dynamic package (DDC/Heated Grips/LED indicators and engine spoiler + on roads), is incredible, and frankly, the S 1000 R makes what every Japanese manufacturer has on offer in the nakedbike marketplace look borderline dumb and old hat. The world has moved on, and the Japanese brands need to catch up, and fast. 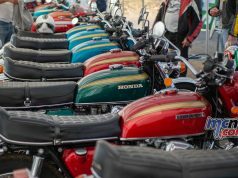 European brands showing the way…… 40 years ago there was a seismic shift when European motorcycles, that had always been clearly superior to their Japanese counterparts, gave way to the onslaught of technical innovation coming from their far-eastern competitors. In a relatively short space of time the European machines were left behind, not in the same league as Japanese machinery when it came to performance and reliability, as the might of engineering from the big-four (Honda, Yamaha, Suzuki and Kawasaki) took the world by storm. The Japanese still certainly have the quality down pat, and most likely still lead the way in outright longevity, but in recent years the big four have failed to innovate and move things forward. At the moment BMW, KTM, Ducati, and to a lesser extent even MV Agusta and Triumph, are showing the way forward. Unless the Japanese change their way of thinking another seismic shift in motorcycling may happen and we could be returning to a time when European machinery clearly dominated. I just hope the Japanese raise their game to the same level so we, as riders, have even more awesome cutting-edge weaponry to choose from at affordable prices.